The Press War Hits Cambridge’s Middle East on January 25th! Boston’s The Press War is hoping to broaden your musical palette when you hear the term Indie/Pop/Punk in reference to their sound. Take opener “Pandering” off the New Again EP as a prime example as it takes the Pop sensibilities of Husker Du and merges it with the driving force of Bad Religion’s finest moments. Elsewhere on their 2013 EP, The Press War stretch their musical chops to go beyond those boundaries yet again with the subtle guitar intricacies that lead the outro to “New Again” and again on “The End of the World Party” which brings to mind MA greats The Receiving End Of Sirens and brings a grandiose conclusion to the EP. If you’re looking to stick to the basics then look no further than “Fault Lines” which has plenty of “Whoa-oh-oh’s”, sing-a-long choruses, and chugging riffs to keep even the most casual fans of the genre happy with subtle hints of Alkaline Trio seeping through. 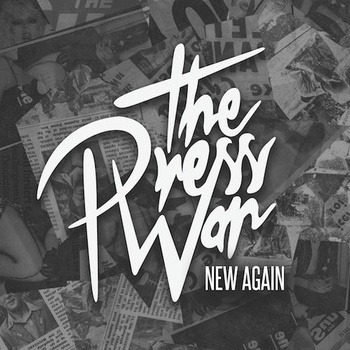 The Press War’s New Again is available now (Click here for yours). The band also has a new EP due in the first quarter of 2015 and maybe if you’re lucky they’ll be premiering some of that material at their first show of the new year on January 25th at Cambridge’s Middle East. They’ll be supporting Dreamcatcher along with For The Year, Silent Stories, and Steve Knecht. This is a matinee show so get there early! Tickets and info is available here.